The Warangal Fort is located at the top of a hill and is one of the most important sites in India. It is renowned for numerous temples and artifacts that are present here. The monuments and temples at Warangal are renowned for the elegant architectural structures. It displays the gorgeous Kakatiya architecture and they are mostly constructed by the Kakatiyan dynasty and display rare architectural skill and talent. The Warangal Fort displays a rare and exquisite Thorean Architectural style. There are Thoranan Arches and the pillars are spread across an area of about 19 kilometers between Hanamkonda and Warangal. The Warangal Fort signifies power and boldness. There are seven towers in the Warangal Fort, and each has a radius of about eight kilometers. 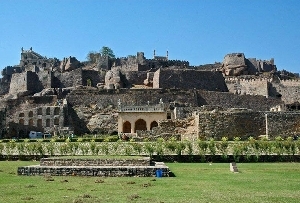 There are 45 towers in the main fort and a temple is located in the middle of the main fort. Shittabh Khan constructed the Khush Mahal which was constructed in the year 1504-1514. The Warangal Fort is close to the Khush Mahal, the other architectural splendor. Today also there is a beautifully carves gateway that symbolizes the Ekashila. Just as the Charminar represents Hyderabad, likewise, the exquisitely carved gate of the Warangal Fort represents the grandeur of Warangal the erstwhile capital of Kakatiya rulers. 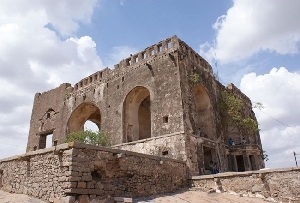 The Kakatiya ruler known as Ganapati Deva and his daughter Rudramma constructed the fort. The fort was damaged many times by natural processes and needed renovation. But still it stands to the wonder of the people, displaying the rich cultural heritage associated with it.